Offering you a complete choice of products which include Car Adaptations such as Wheelchair, Handicapped Cars, Hand Controlled Car, Car for Disabled People, Auto Pilot Disabled Car and Handicap Accessible Cars. Our company is one of the few manufacturers and suppliers of hand controlled car and Handicapped Cars which is suitable for physically challenged or disabled people. 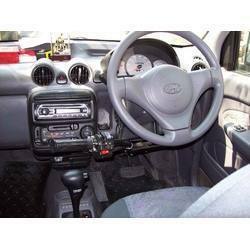 We offer complete customized solutions for car conversion for physically challenged drivers. Our team of technocrats has been successfully dealing with electric and hybrid car conversions for many clients across India. We offer various automotive electrical car conversion products which enable the person to drive a car with the help of his/her hands or using only one limb. 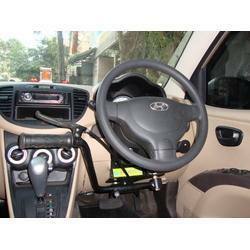 We are one of the leading manufacturers of Hand Controlled Car Wheelchairs in Chennai, Hyderabad,Banglore and Kerala. Our company is one of the few manufacturers and suppliers of hand controlled car and Hand Controlled Car which is suitable for physically challenged or disabled people. 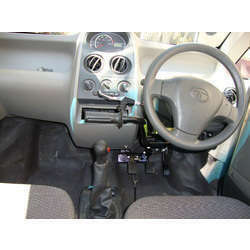 We offer complete customized solutions for car conversion for physically challenged drivers. Our team of technocrats has been successfully dealing with electric and hybrid car conversions for many clients across India. We offer various automotive electrical car conversion products which enable the person to drive a car with the help of his/her hands or using only one limb. We offer mobility hand controls for almost any type of vehicle. Most controls are in stock and ready to be installed and it's easy to get in and get your handicapped hand controls. We offer Handicap Accessible Cars a complete customized solutions for physically challenged car drivers. Our product enables the person to drive a car with the help of his/ her hands or using one limb. Looking for Car Adaptations ?